Do you lack self-confidence in your smile? Do you get embarrassed by: faded, cracked or chipped teeth; crowded or crooked teeth; worn or stained teeth; or uneven spaces between your teeth? Jenkintown Dental Medicine is the General Dentist in Montgomery County that can re-design your smile. After graduating from an undergraduate program with a BS or BA degree, prospective dental students must attend an additional four or more years of schooling at one of fifty-six accredited dental schools in the U.S. Dental School graduates then must pass a two-part written national board examination and a written and practical state or regional board examination. After passing these exams, a dentist officially becomes a general dentist and is given a license to practice. A good general dentist practices preventative care; The American Dental Association (ADA) recommends that you visit your dentist at least once every six months to ensure proper oral hygiene. Your general dentist will work with you to develop a customized dental hygiene plan that not only incorporates regular dental examination and cleaning, but also employs the use of x-ray and other diagnostic equipment to prevent, detect and treat problems as early as possible. Dr. West, Dr. Wilk and entire the staff of Jenkintown Dental Medicine can provide virtually every type of general dentist service in Montgomery County you may require without having to refer you to other specialties. The practice experience and flexibility helps save you time and keeps all of your dental care and complete dental history in one place. Our focus is on total prevention and early appropriate treatment. Comprehensive dental care starts with systematic hygiene visits, consistent checkups and continual home oral health habits. When you visit our Montgomery County General Dentist practice in Jenkintown, you and your smile and overall oral health are our top priority. We understand the importance of building trust over the long haul. 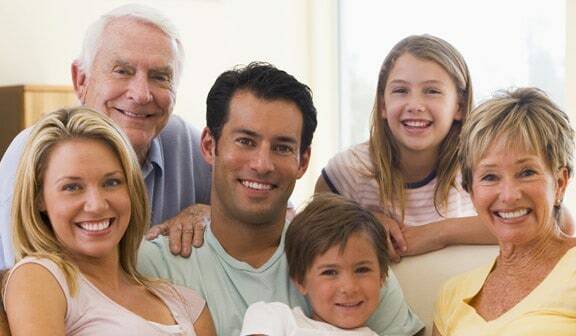 Our general dentist in Montgomery County practice proudly serves Abington, Ambler, Cheltenham, Hatboro, Horsham Jenkintown, North Wales, Montgomeryville, Lansdale, Upper and Lower Gwynedd, and the surrounding areas in Bucks County including Warrington, Chalfont, New Britain, Doylestown, and Colmar. 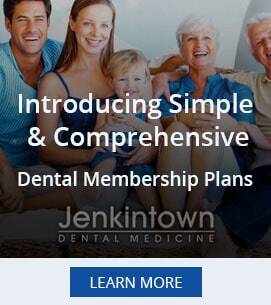 Call your Jenkintown dentist today at 215-885-6565.